Does anyone else confuse Charlotte Moss and Bunny Williams? Well, I have done it. I read an entire post on one of my favorite blogs, Cote De Texas. And as I read it, I assumed I was reading about Bunny Williams. Only the post was about Charlotte Moss. Honestly, I have always confused the two. I realized what I had done. 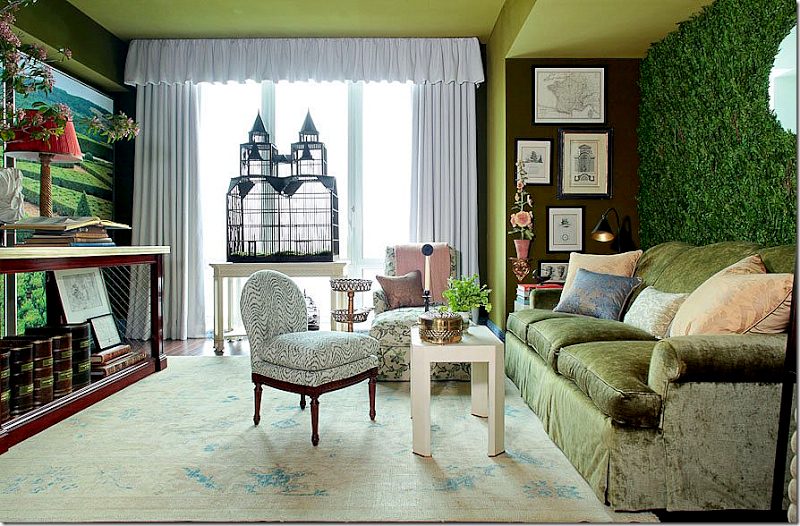 And to be honest, I really couldn’t see Bunny using a faux greenery accent wall in any of her projects. It just didn’t jibe with my idea of Bunny’s design sensibilities. Nothing against faux evergreenery, of course. I have heard them each speak at local lectures, and have several of Bunny’s books. Why am I so confused as to which is which? Am I the only one who gets these two mixed up in my head? 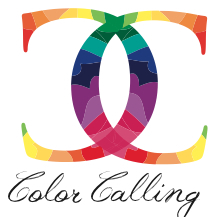 This entry was posted on February 21, 2013 by Ellen at Color Calling. It was filed under Residential styling . Hi I found your site by accident googling contrast walls and have enjoyed your site very much for fun inspiration. Hi Janet, please stop by anytime! Thank you for the nice comment.